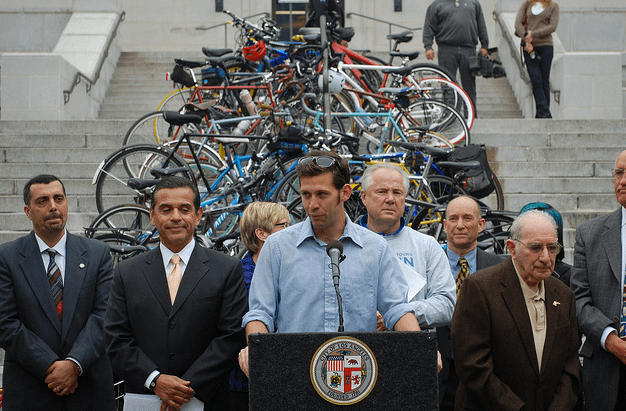 There’s going to be plenty of press on today’s press event celebrating the passage of the Bike Plan at City Hall. Rather than join the dozens of stories that are going to appear in the press, on the web, and over the airways; Carter and I thought we’d relax, enjoy the party and take some pictures. 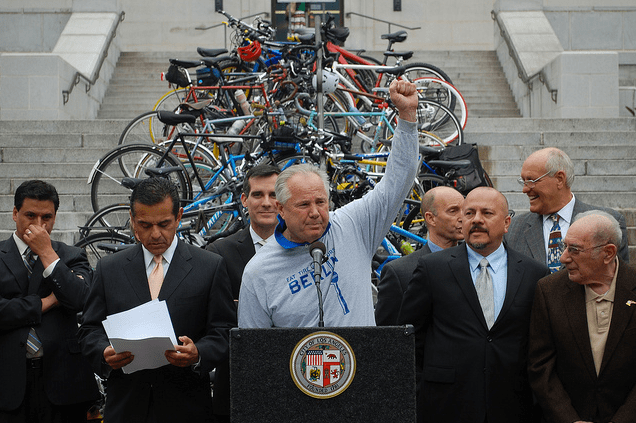 The good vibe wasn’t just from the cyclists, but also from the politicians. 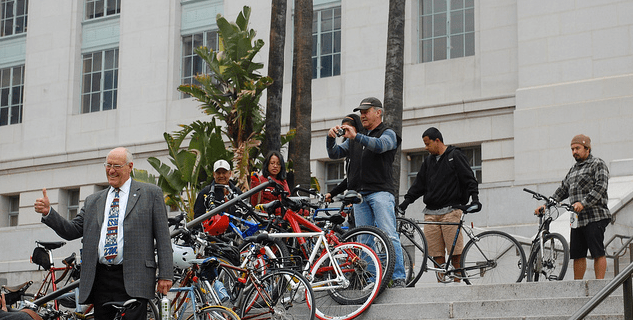 After months of arguing over what budgets to cut and what taxes to raise, it must have been nice to spend a morning presenting a clean, green and healthy city of the future. 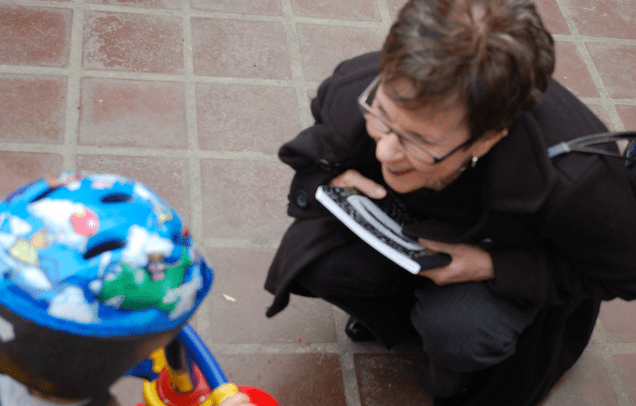 Our photo essay is after the jump. All the pictures were taken by Carter, all the captions are by Damien. 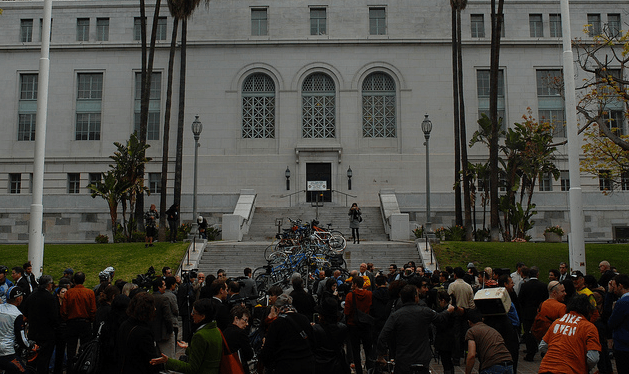 For the rest of our pics, check out the LA Streetsblog Flickr page. 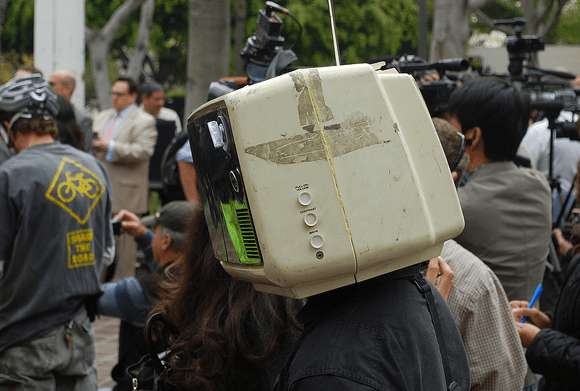 Villaraigosa makes a "training wheels" joke. 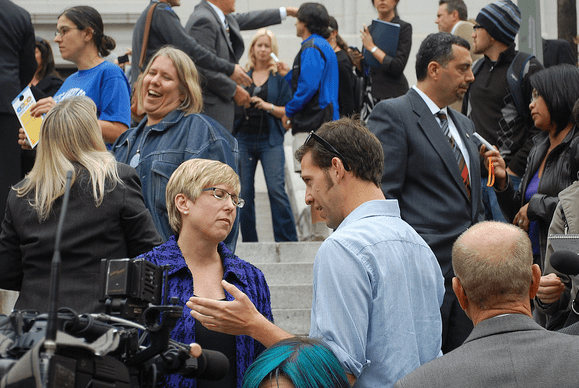 I love this picture because there's so much going on, but in the middle Alex Thompson and Wendy Greuel take a second to talk. 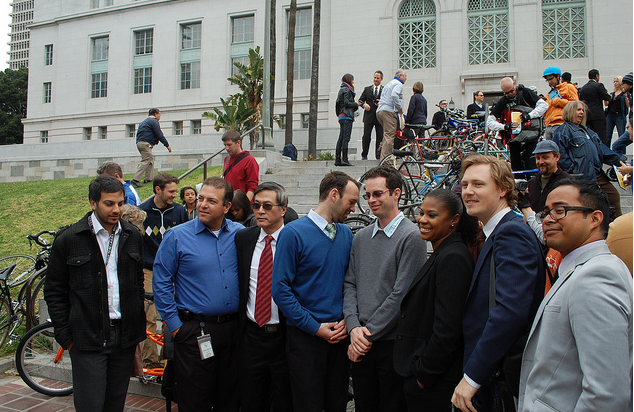 Minus Michelle Mowery, who gave me a relieved sigh that "this day has been a long time coming" at the back of the crowd, LADOT Bikeways poses for a group shot. 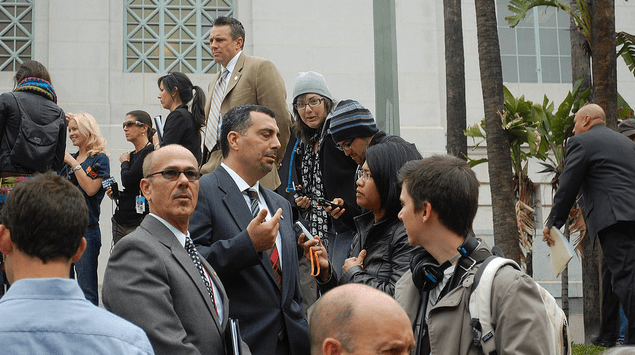 The man in the suit is Kang Hu, the hero of the Wilshire Bus Only Lanes debate. 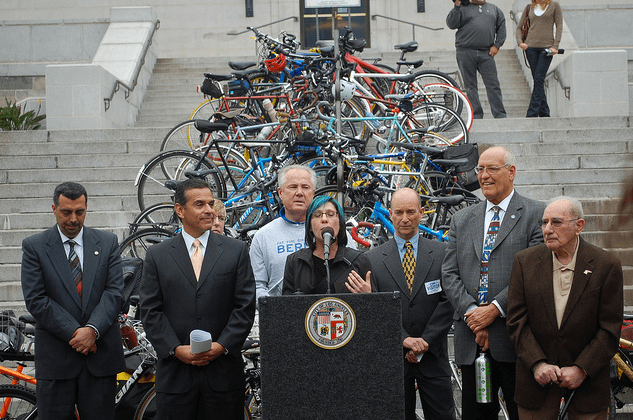 Jennifer Klausner, the executive director of the LACBC, takes a turn. 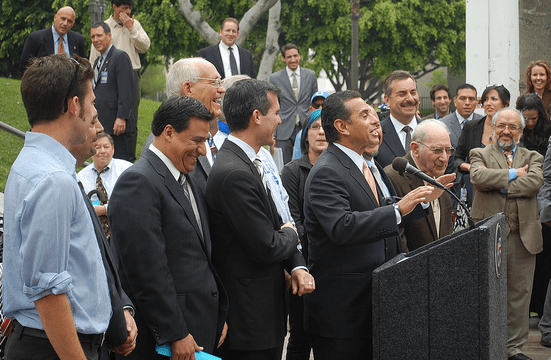 I'm not sure what Alex is saying at this moment, but it looks like Villaraigosa is tickled by it. The taxi missed be by thiiiiis much.